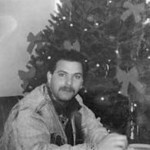 Stephen (Steve) DePaulo unexpectedly passed away Jan. 3, 2019. He was 51. Steve was born on May 23, 1967, in Bristol and resided in St. Pete, Fla. He was the son of “Larry” DePaulo and Shirley Cahill. Steve is survived by his loving son, Nicholas and his fiance, Cassidy Selig, and their newborn son, Rocco Stephen DePaulo; his loving daughter, Sydney; sister, Gina Depaulo; uncle, Scott Depaulo and his wife, Valerie, and countless friends. A Celebration of Life will be held on Feb. 9 from 6 p.m. to 10 p.m., at the Bristol Polish American Club, 541 N. Main St., Bristol. Posted in The Bristol Press, on Monday, 4 February 2019 20:58. Updated: Monday, 4 February 2019 21:00.